Mexican mariachi music is made to move you. It is direct, driving, and designed to instill emotion. Happy, sad, proud, angry, desolate, romance-stricken, and rebellious are some of the moods inspired by its extroverted singers, suave harmonies, and romping rhythms. 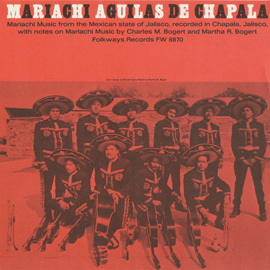 "Mariachi" means a certain repertoire of music, a special grouping of instruments, and a distinctive style of singing that create an unmistakable sound unique in the world. It has special meaning for many Mexican Americans as an emblem of their cultural heritage and a source of pride and community connections. And since the days of the Chicano Movement beginning in the 1960s, it has become a movimiento of its own, attracting millions of fans and music makers throughout the USA. 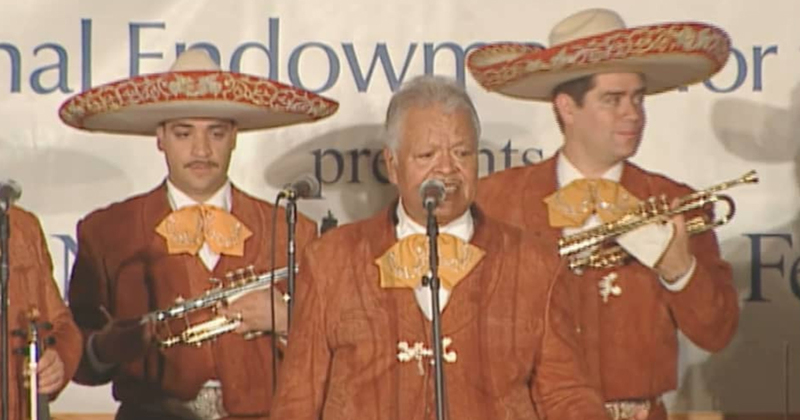 Mariachi music has origins deep in Mexican history. 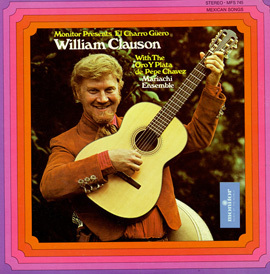 The sound of its string instruments and its oldest rhythms are rooted in Mexico's colonial times (1519-1810); people from Spain and African slaves and their descendants mingled with hundreds of American Indian cultures to create a new Mexican culture marked by many regions, each with its own signature musical tradition. 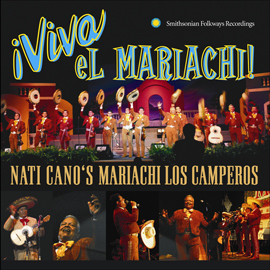 The music that was called "mariachi" as early as the 1850s emerged from the ranches and small towns of western Mexico, particularly in the states of Jalisco, Michoacán, Nayarit, Colima, and Aguascalientes. 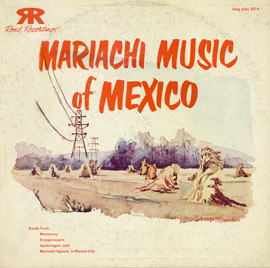 When big-city radio stations, movie studios, and record companies took mariachi music to new audiences throughout Mexico and abroad beginning in the 1930s, mariachi music was transformed into one of Latin America's favorite musics. By the 1950s, its standard sound of two trumpets, three or more violins, vihuela (small guitar), and guitarrón (big bass guitar) was set. 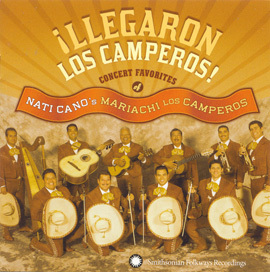 Since then, its repertoire of fast-paced sones, expressive canciones rancheras ("country" songs), polkas, syncopated huapangos, romantic boleros, and more has been heard throughout the Americas and around the world. Today, mariachi ensembles are part of musical life in every country of the Americas. The USA, the Southwest in particular, is home to many thousands of mariachi musicians, and hundreds of schools host mariachi education programs. In the USA, mariachi music is just as likely to be performed in major concert halls by tightly rehearsed concert groups as it is at birthday parties, wedding receptions, baptism celebrations, and restaurants by workaday professional groups. 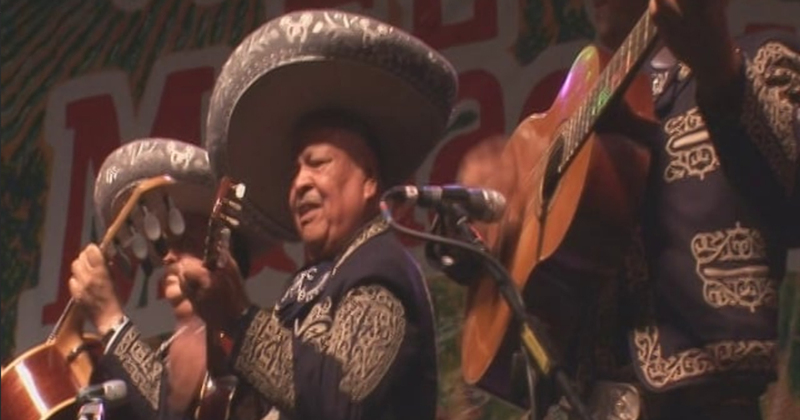 Dozens of major annual mariachi festivals featuring local and internationally renowned groups attract audiences of thousands—both Mexican Americans who might embrace the music as a symbol of their cultural heritage and others who simply enjoy the hard-hitting, lively sounds of the music.